... well, some of them anyways. 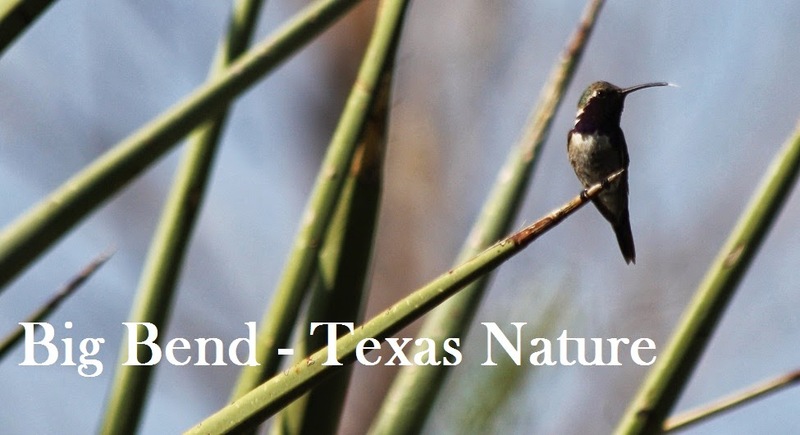 This property will be part of the Birds and Butterflies of the Big Bend festival. 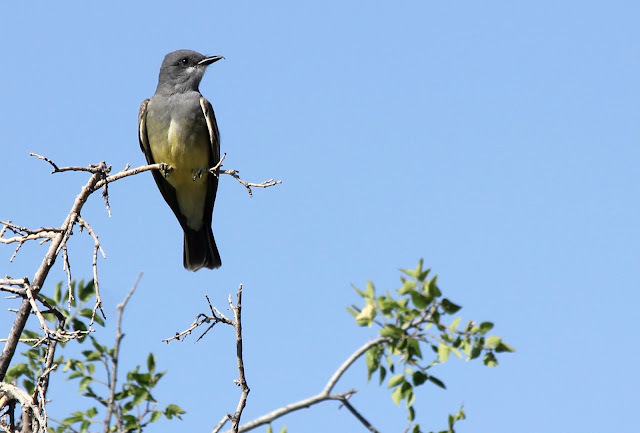 This area is ~ 15 or so miles south of Marathon, as the Black Phoebe flies. *Photos taken at the ranch, unless otherwise noted* All species are an incomplete, though true, representation of occurrence on property. Varied Bunting (Passerina versicolor), thus far this individual is occurring on one corner of this large property, at least from my observations. 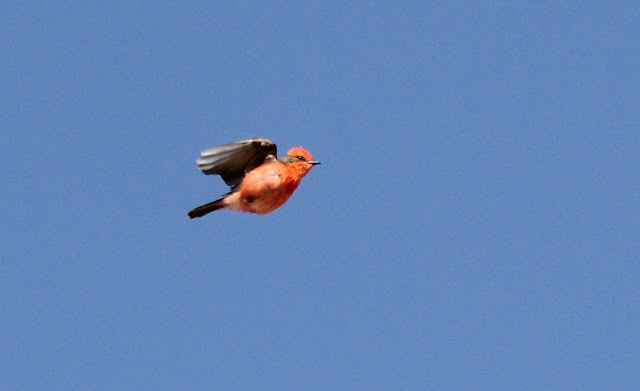 Vermilion Flycatcher (Pyrocephalus rubinus), everywhere, and many males continue their display flights. 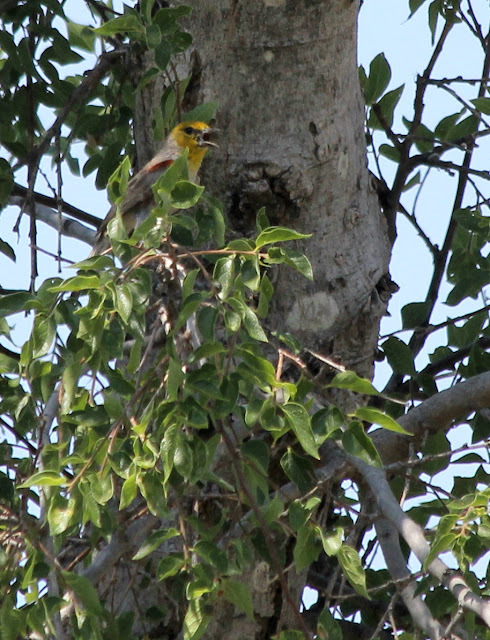 Verdin (Auriparis flaviceps), in proper habitat there are several, many of which are still singing. 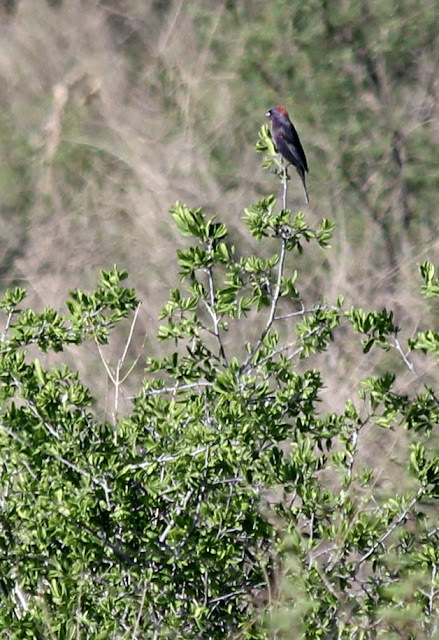 Where there is Verdin habitat, there is Black-tailed Gnatcatcher (Polioptila nigriceps) habitat and the reciprocal. 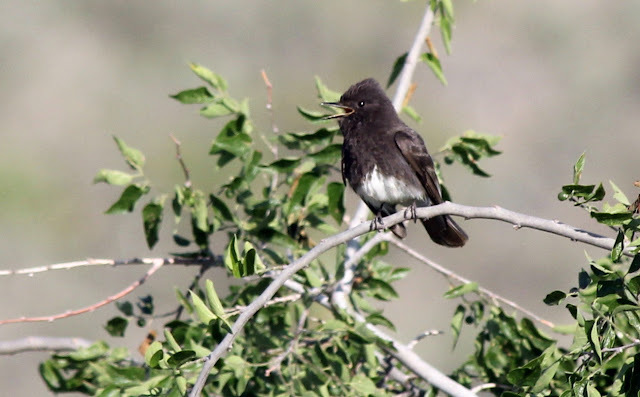 Black Phoebe (Sayornis nigricans), at "Lake House" area of Maravillas Ranch. 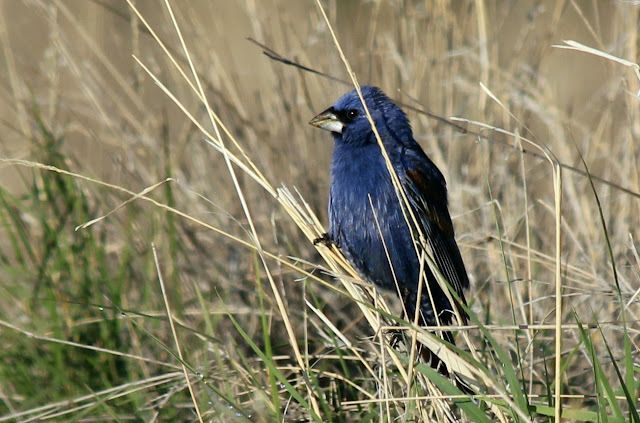 They already had one successful clutch..
Blue Grosbeak (Passerina caerulea), extremely common species. 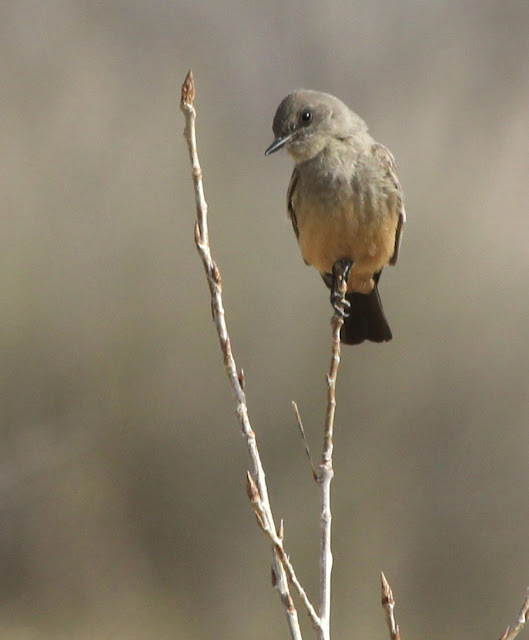 Say's Phoebe (Sayornis saya), *photo taken at Post Park. 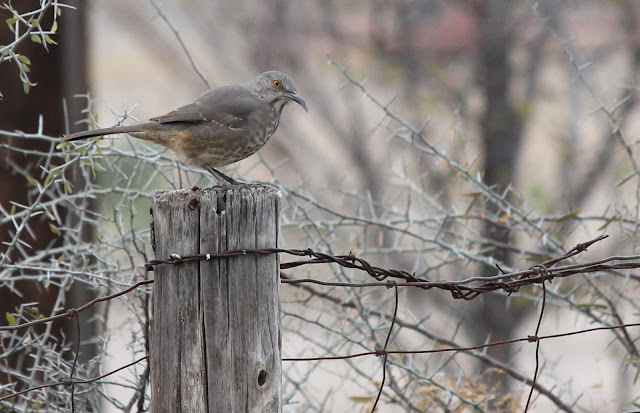 Curve-billed Thrasher (Toxostoma curvirostre), *photo taken in Marathon. Cassin's Sparrow (Peucaea cassinii), *photo taken in Jeff Davis county., CASP are still singing and skylarking in the Marathon Basin, a common sound of summer. 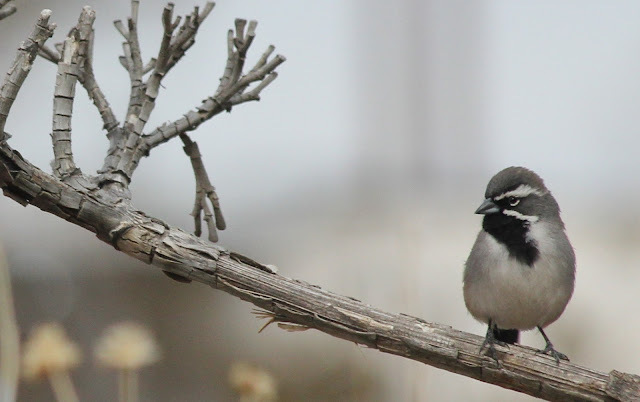 Black-throated Sparrow (Amphispiza bilineata), *photo taken in Marathon. This is our most numerous yr-round resident sparrrow. 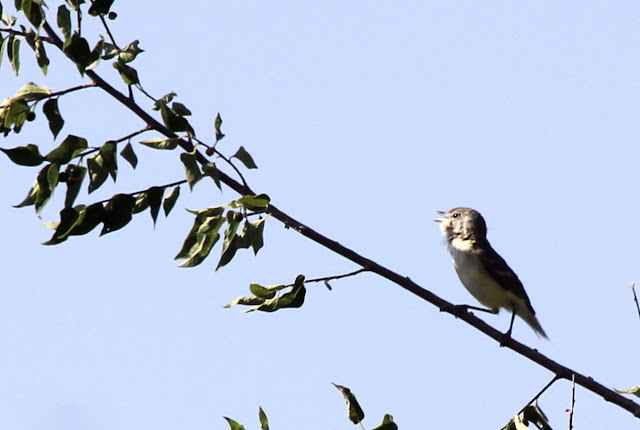 Bell's Vireo (Vireo bellii), another constant sound of summer here. They never cease vocalizing, so it seems. 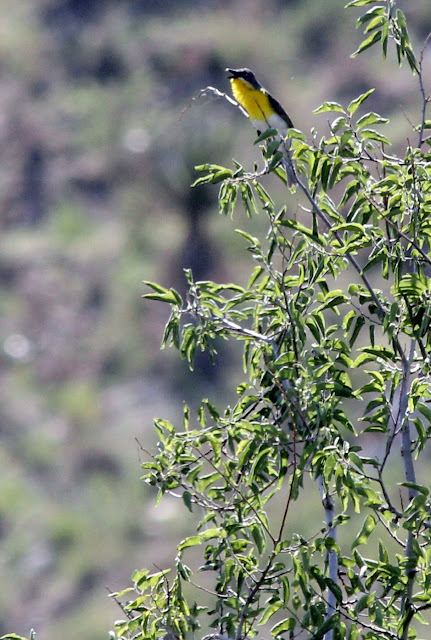 Yellow-breasted Chat (Icteria virens), very common in the riparian areas of the property. 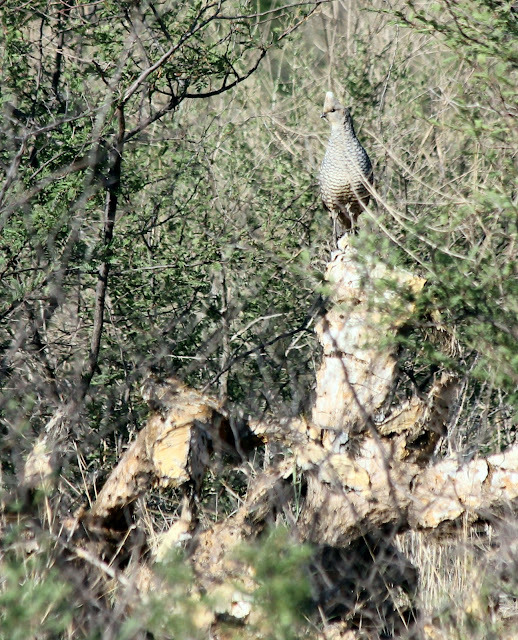 Their curious vocalizations blaring out, over and over. 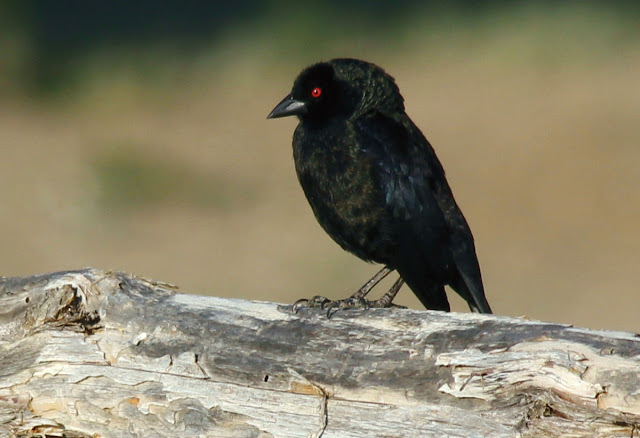 Wow, a place where Yellow-breasted Chat and Blue Grosbeak are very common??? This seems like a small birding Mecca, with Varied Buntings and the Scaled Quail in their mithril armor just a bonus! Hey, you've got my vote!